Will TRIPOLI be Liberated by the Army or the People themselves? 1. defend the homeland, dignity responded to the Libyan people, and defeat Crusaders, and country, and customers of Libya, is irreversible, and the option is without death. … because, they are in the trenches, and in the battlefields. and that defeat Ivkronkm killer ,is not in the establishment of desperate miserable ‘elections’; but defeat is a ‘Psychological defeat’,; therefore, beware that to Atssll your souls from the feeling of defeat. you are the right owners, and home owners. 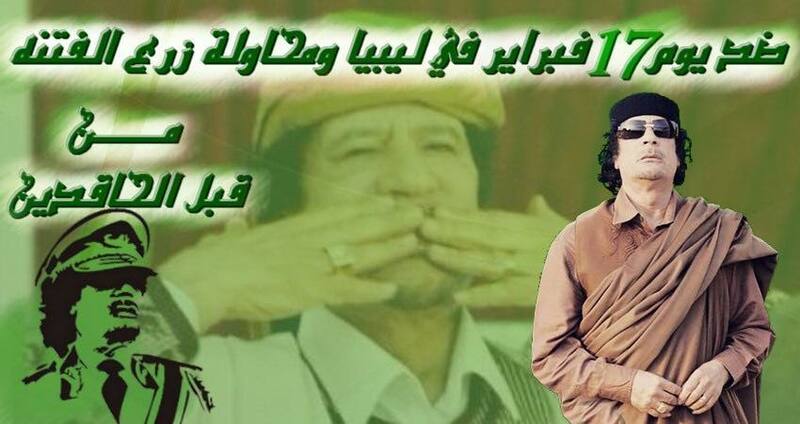 Libya is for all, and for everyone Libyan. and after all of this, some still say to me that we are not fighting a cowardly and dishonest group (just an ‘alternative ‘government’) !!. You Nrdoa voice of IMAM Muammar al-Qathafi, O Allah, and peace ..
(Speech directed at the media who were on the media channels that support the plot, and give the coordinates of the ‘NATO’ bombing of the ‘armed forces of the Libyan Jamahiriya peoples’, and all our sacred and faithful ‘Great Jamahiriya’ people’s institutions). 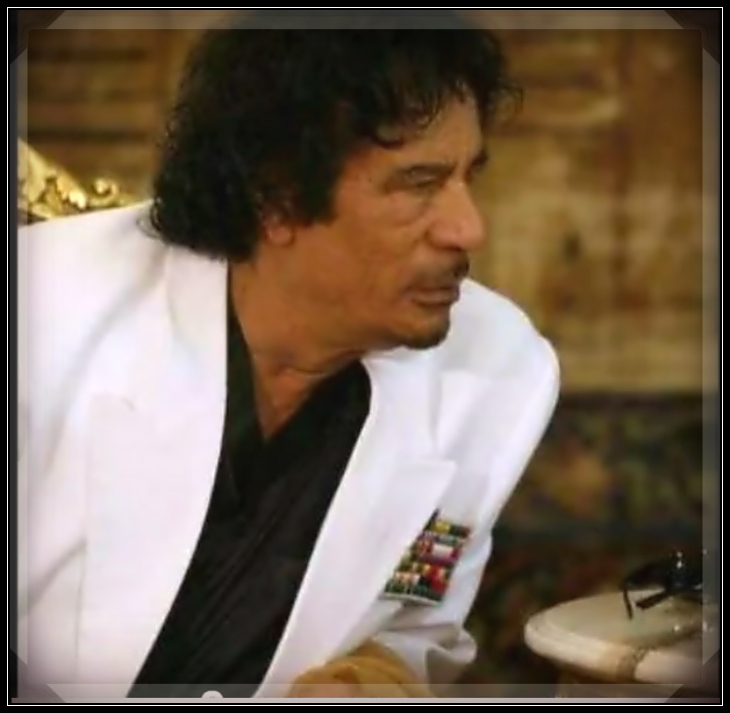 The second thing, to the Libyans abroad or were displaced, ‘to Mqman communicate with the community office state’ that they are out to coordinate with the local civil blocs to those countries…. Therein was puposely stress, that all the speeches and leaflets media in all means of communication should not mention any names. The Army does not support force and nor do the armed tribes: and not Awakening and not youth Shati, and not TPU and not Tawergha. Not to say that the media has a scheme! !!!! because you will be included in the system of the martyrs of duty of the ‘Libyan Army’. We know that Qatar Titles and the United Arab Emirates are a ‘creature of the Zionists’; and it was not good that they called them to their armies, and changed their names. The strength of support for our Libyan Army of the tribes, and awakening our brethern to see why Qatar and United Arab Emirates, Saudi Arabia and Turkey did not change the names of their armies to the Army. Why did not they change the name to ‘armor’ or ‘support force’ (as does the BROTHERHOOD, MISURATA and TRIPOLI ‘GOVERNMENT‘)? My words go out to the Libyans common folk (except stray dogs). 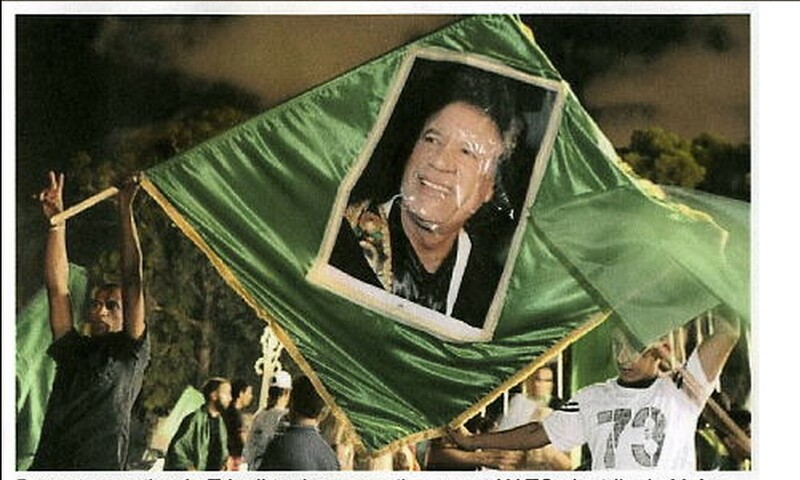 Before February 17 (one day) only there were only dozens of opponents of the Jamahiriya system; and, they are known by name, tribe and blood type, and even the shoe number. After February 17 (one day) we have become tens of thousands of secret al-Mardaan and al-Mnazlin in dreams, and former prisoners, and hounded by the system, and observers by its organs and killed by him two, three, or four. And certainly, after the return of the Jamahiriya system (one day), will return only the number of tens al-Fberaarien [only ones who wanted Saherboa or internationally or in their necks innocent of shedding blood]. They were ‘against the February secretly’. They were supporting the resistance under the cover of darkness’. They were ‘working for the Jamahiriya system in the ranks of February’. They were repentant. They love Muammar al-Qathafi and retain more in the spokes of their grandmothers. (Face validity). And who takes my mother say (Aaamo). Ohfezoha. And waited faces will change (New Look). And tongues of accent will change from (al-Boudra for Gahoa). (And we are all happy Arish) ! قبل 17 فبراير ( بيوم واحد ) فقط كان هناك عشرات فقط معارضين للنظام معروفين بالإسم والقبيلة وفصيلة الدم وحتى رقم الحذاء . بعد 17 فبراير ( بيوم واحد ) أصبح لدينا عشرات الألاف من المعارضيين السريين والمناظلين في الأحلام والسجناء السابقين والمطاردين من قبل النظام والمراقبين من قبل أجهزته والمقتولين من قبله مثنى وثلاث ورباع . وبالتأكيد بعد عودة النظام ( بيوم واحد ) فقط سيعود عدد الفبرايريين عشرات فقط هم الذين سيهربوا أو مطلوبين دوليا أو في أعناقهم دماء بريئة . أما الباقي سيسردون عليكم قصص ألف ليلة وليلة . كونهم كانوا ضد فبراير سرا . وكانوا يدعمون المقاومة تحت جنح الظلام . 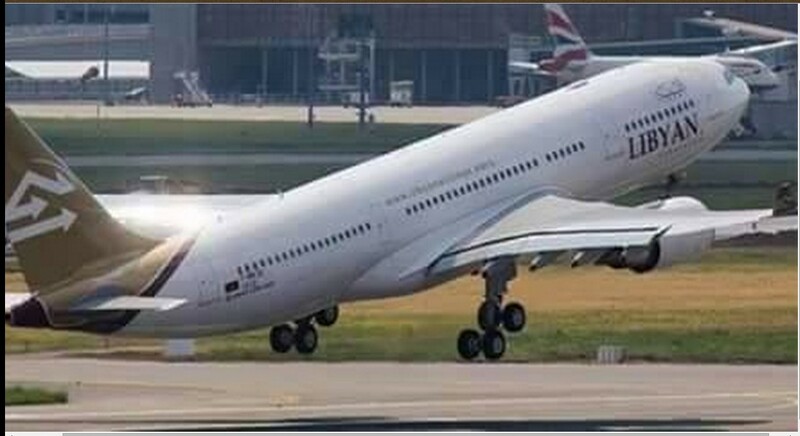 وكانوا يعملون لصالح النظام في صفوف فبراير . وكانوا نادمين . وكانوا يعشقون معمر القذافي ويحتفظون بصوره في دواليب جداتهم . ( صحة الوجه ) . واللي يأخذ امي نقوله ( ياعمو ) . North Korea to withdraw medical cadres from Libya to delay the release of its nationals kidnapped. 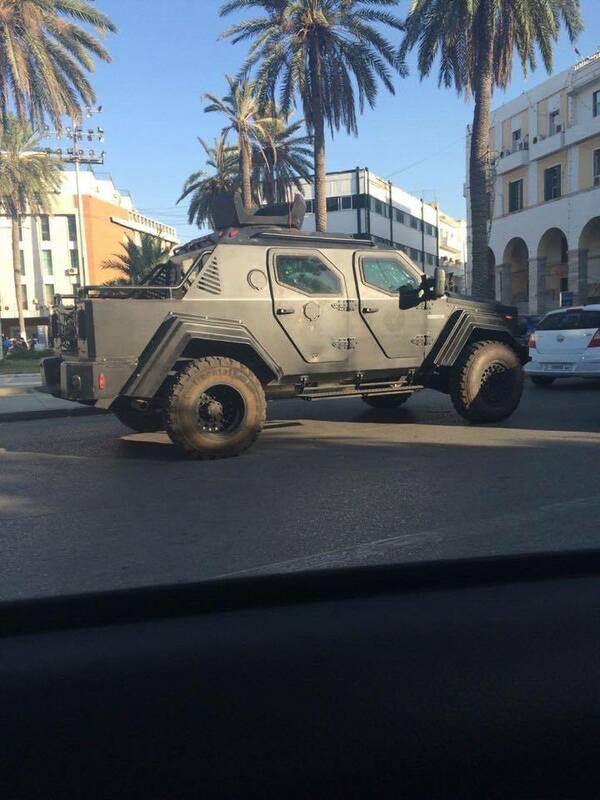 Armored vehicles patrolling the Green Square. Militias massing troops in the Green Square in preparation for their parade. probably FALSE News of an agreement between the military commanders of Zintan, for Misurata to leave the political scene; and unite (?) for the home and a willingness to adjust things in Tripoli and the rest of Libya. Palanadwae’ under the ‘chairmanship of staff of the Libyan Army’. Shut down the Coastal Road in the container gate, in both directions, by a group of demonstrators wounded by militias in CORNER. 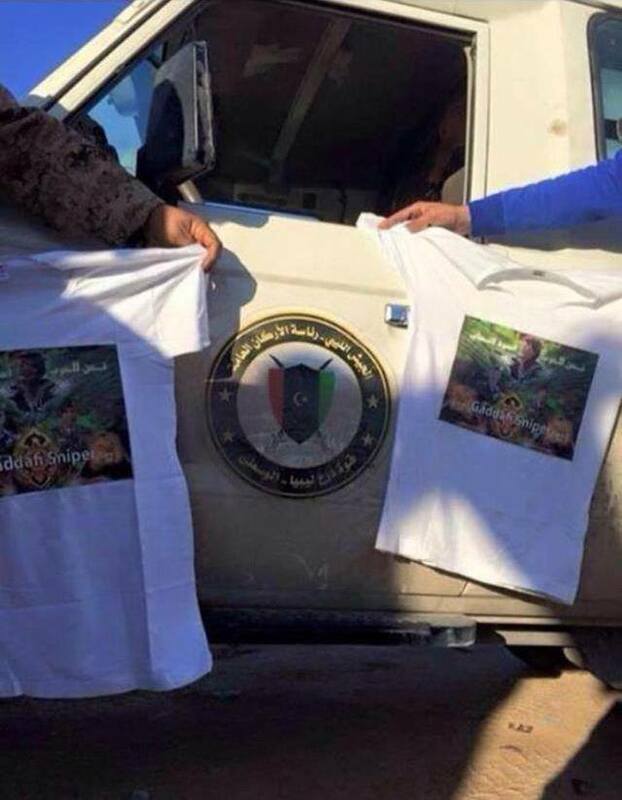 ‘Roma Libya’ militias in Tripoli, have closed streets leading to the “field of Martyrs “concrete Boukrsanat. Gateway pressures pomegranate militias Inventory ‘Karh Dayrin gate‘ and accurate inspection. Please discernible caution Aaohrar. 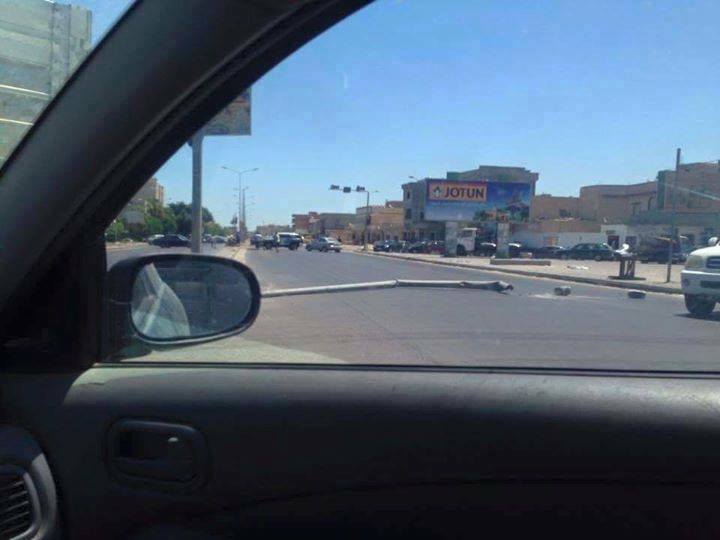 Gate inspection belonging to the militia of Misurata under Equestrian Airport Road Bridge. Killed the nephew of Mr. Ajili Albrenne (head of the Supreme Council of the Libyan tribes and cities), after the remnants of the militia ‘Roma Libya’ in Janzour, made random archery upon his car. He was still quite small, and young in age. The incident is believed to be an attempt of armed robbery. 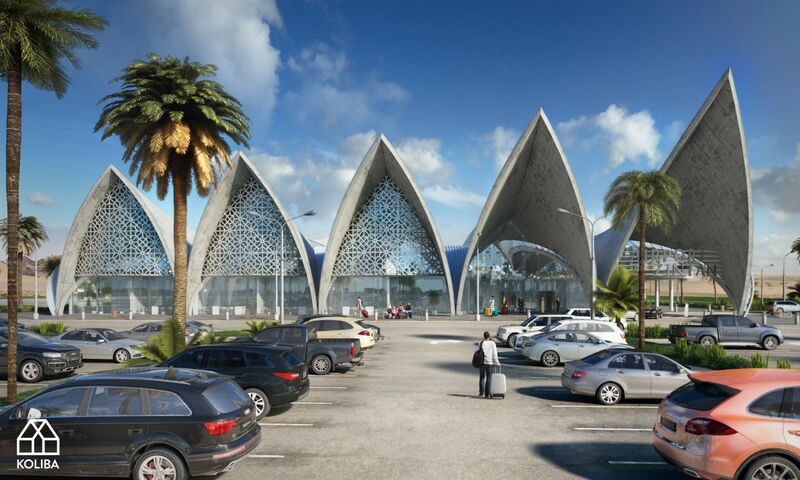 ‘ZINTAN INTERNATIONAL AIRPORT’ direct flights to ABRAQ AIRPORT (CASABLANCA/ al-BEIDA in CYRENAICA), now 3 X each week. 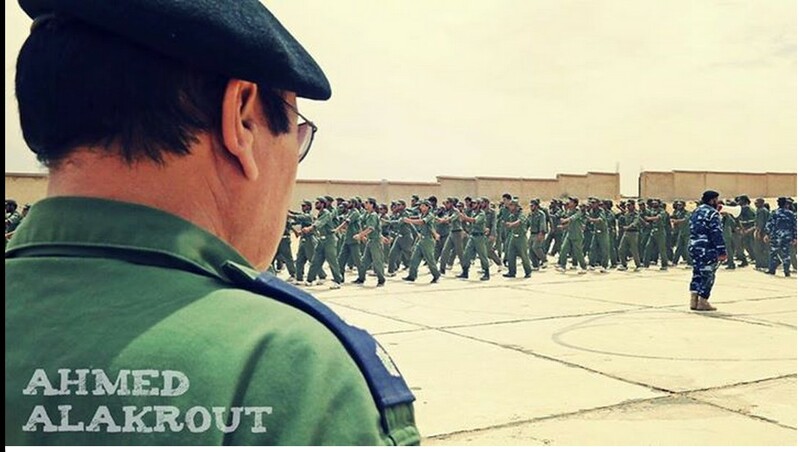 Police training at the ‘B.al-Zintan Institute’, after graduating from several cities, within the city today witnessed preparations for the graduation of a ‘batch of employees of the Special Forces of the Western Region’ for Beautiful City and al-Ash, Racdalin, and Ztun. 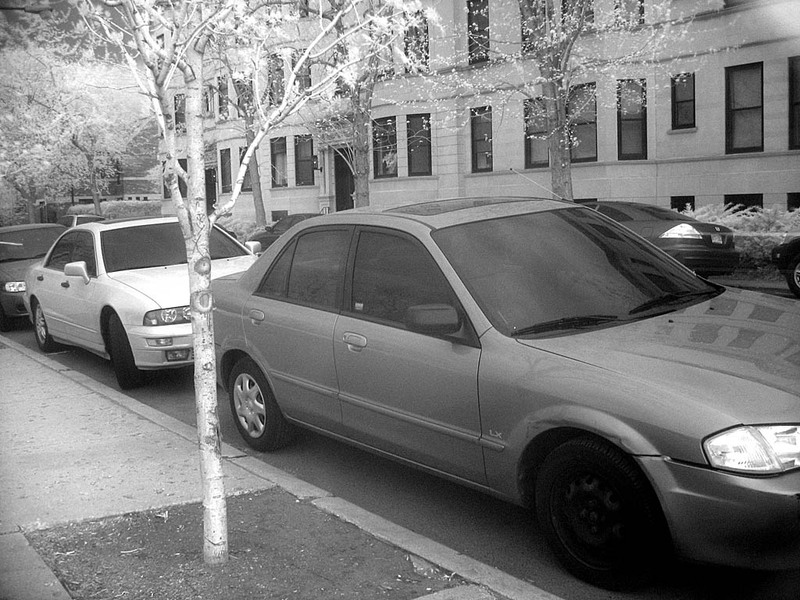 no one can opaque their windshield legally. Security men from the military police and security intelligence are campaigning to remove the glass opaque off of cars, or they will take their licence plates. A tribute to the children of ‘Djaavrh Ebric of youth Tarhouna’, their position Supervisor. upon the People of Tarhouna. ! (REPEAT OF WHAT HAPPENED TO BANI WALID, RISHVANA and ZINTAN). 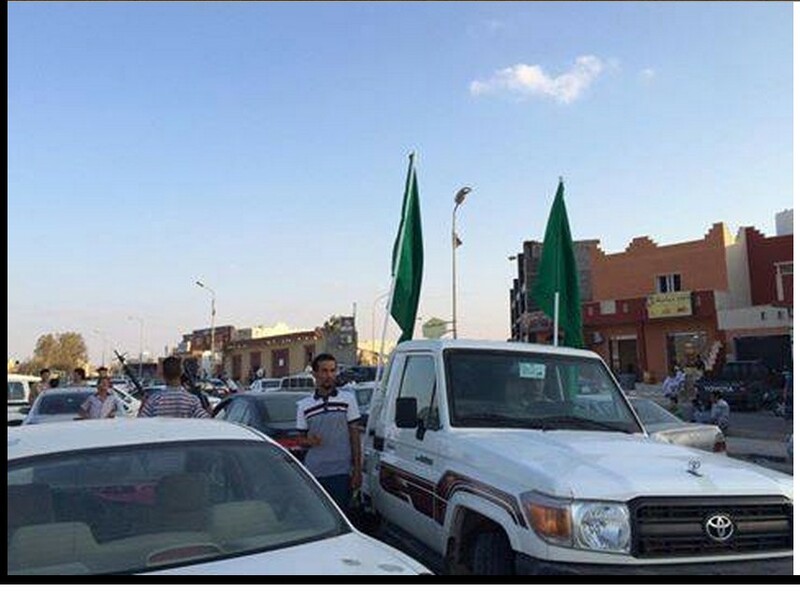 ‘Dawn Libya’ militias gathering of areas to break into the ‘Sunday market’ in Tarhouna. 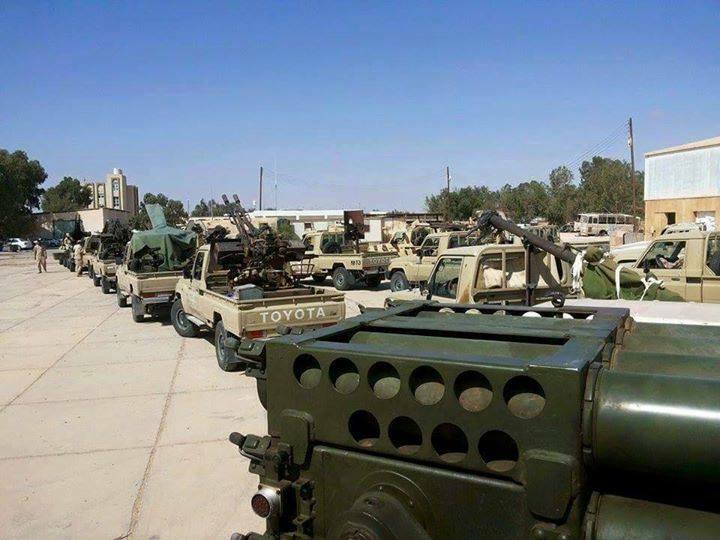 An hour before the convoy arrived, came out of the city of Msallata, the militias loyal to “17 February Terrorists”. They are heading towards ‘Sunday Market Petrhonh’. The Cane Militia stormed the ‘Friday Market’ to filter Tarhouna. These Cane rats slaughtered ‘Nine of those who participated in demonstrations against the unfair judgments against men of the GREAT JAMAHIRIYA’. 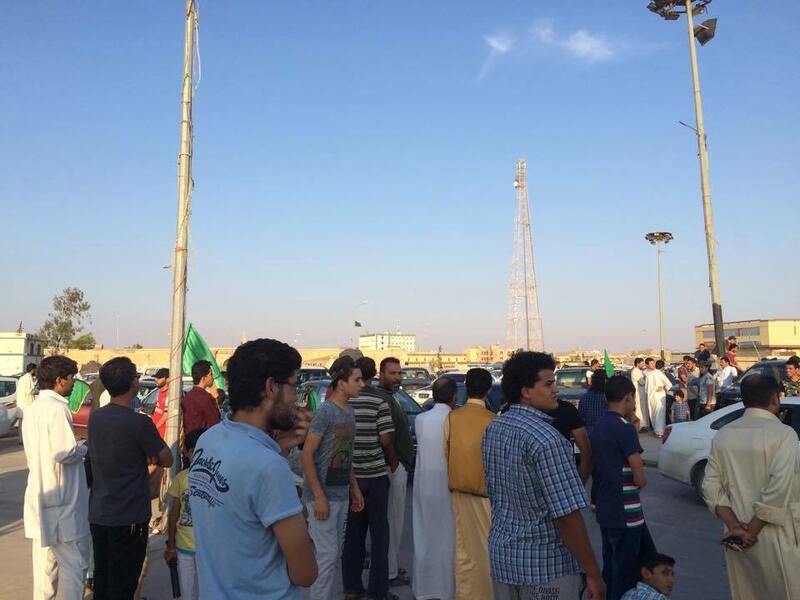 Militias ‘Roma Libya’ control again the ‘Sunday market camp Petrhonh’. 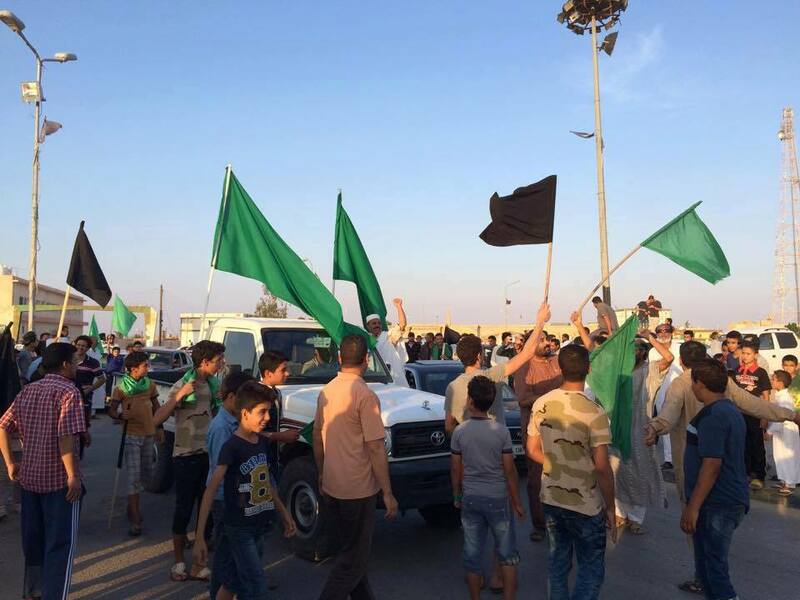 Strong clashes between ‘Youth Tarhouna’, and militias ‘Dawn Libya’, near the camp in the area ‘Sunday market’. Heavy shelling B. al-Rajmat the ‘Sunday market area’. 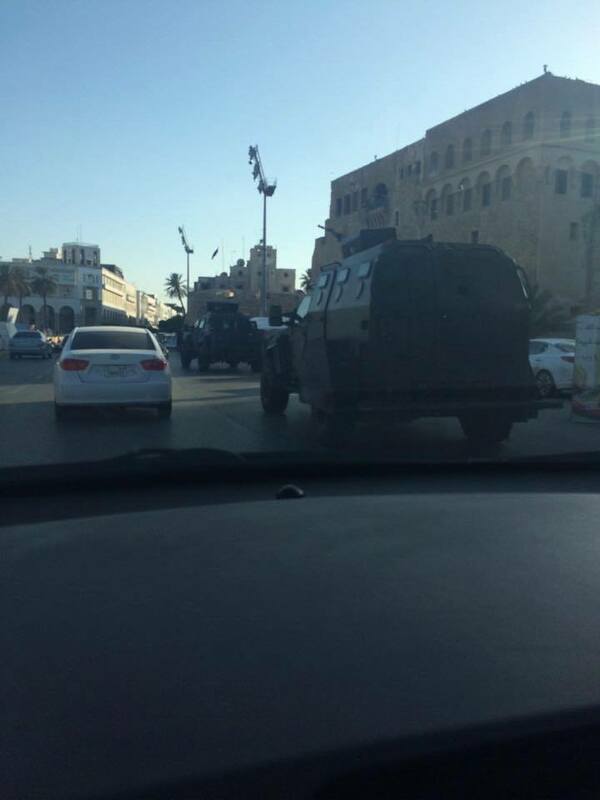 ‘Militias Cane’ send tanks to Souk al-Ohd. 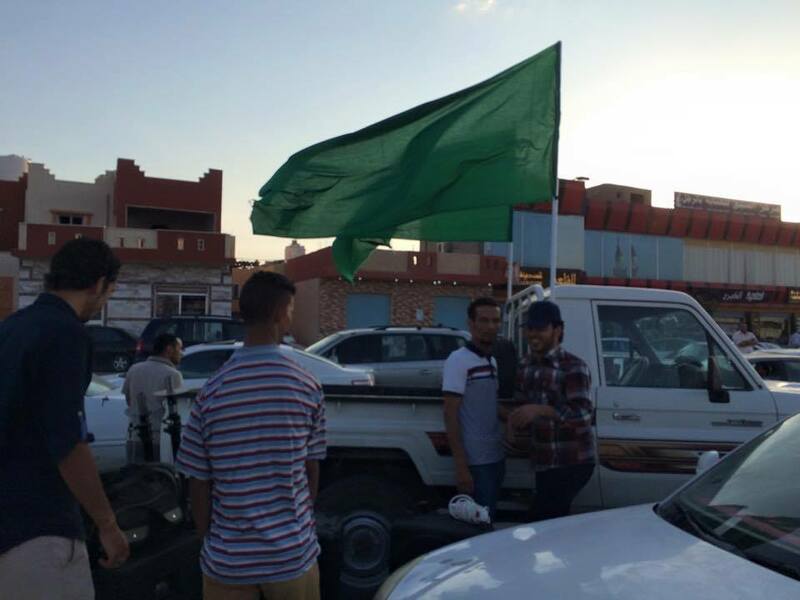 Stationed in a convoy through the 10 km link between Sidi tourists and Sunday market continued Militias Tajourah. Tajourah (the secret support of the militias Cane), have now withdrawn from ‘Sunday Market’ area, after killing more than 20 people from its members, because of quality operations carried out by ‘young Tarhouna’ to defend their land. Allah is great you Aachaabab Tarhouna. 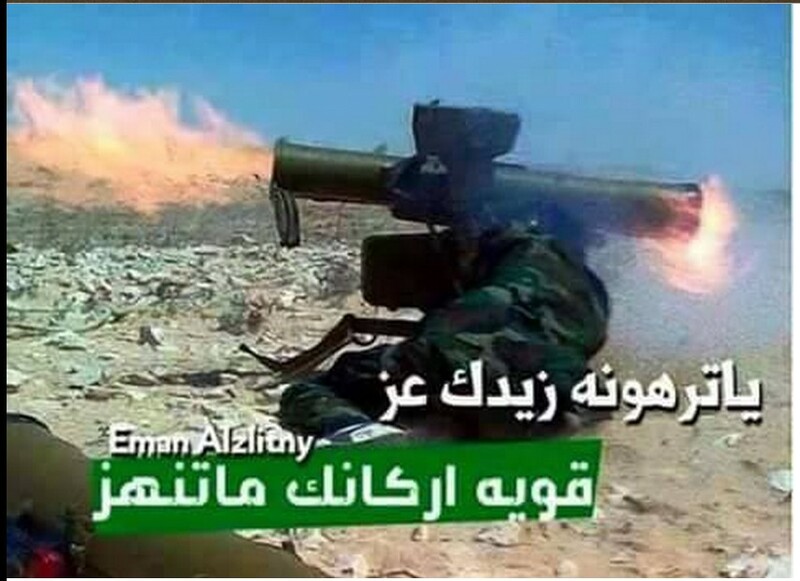 Champions of Tarhouna destroying rocket launcher shortly before and injuring three of Cane militia who support the rats, at Asayat landfill in Sidi Sayeh, forcing the rest to flee back. Martyr, Allah willing, Haitham al-Tarhouni who was martyred in defense of the land and honor in ‘Melgh mouth Petrhonh’. 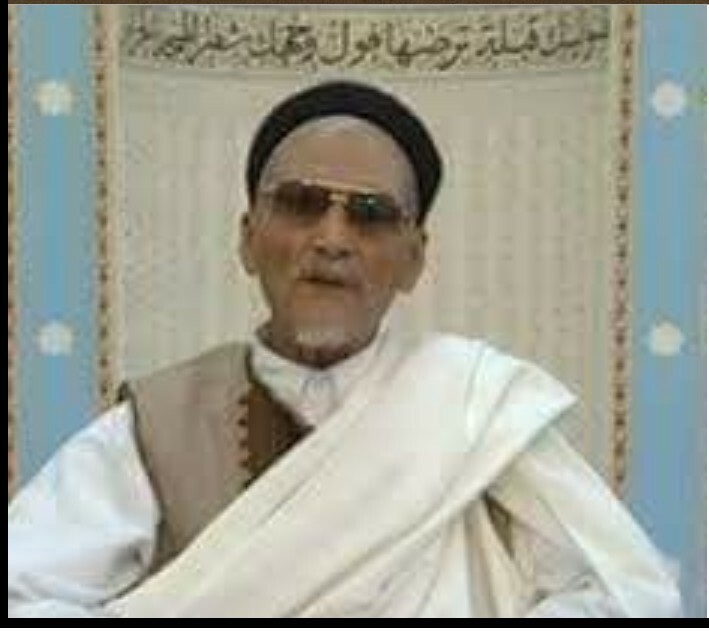 Aaaaaaaaagel Praise be to Allah for the safety of Shaykh Muhammad al-Madani Alchuirv of Sjoin, from Misurata Hedda ! Wishing for the day when the rest of the detainees are released, as Allah wills. 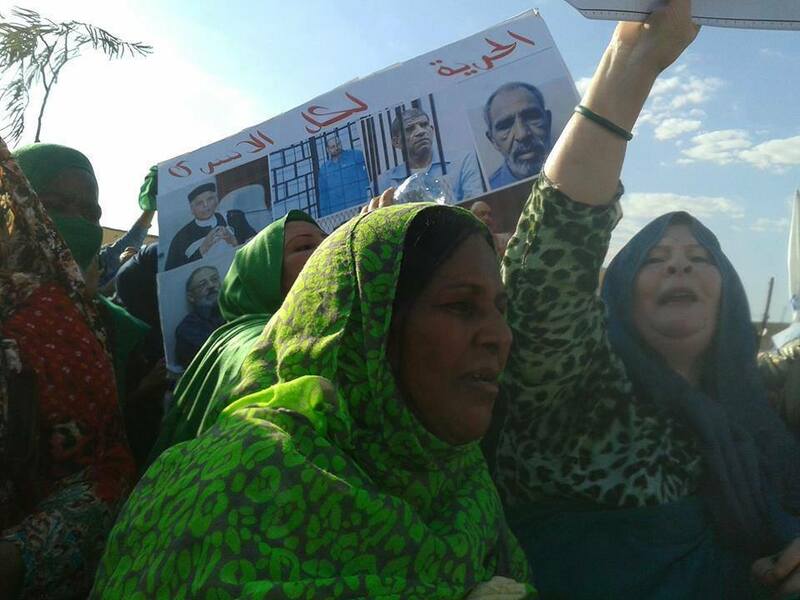 In Bani Walid, there was demonstration of protest and mourning by Libyans who are being massacred by the Islamic State with the indifference of the illegitimate current government. 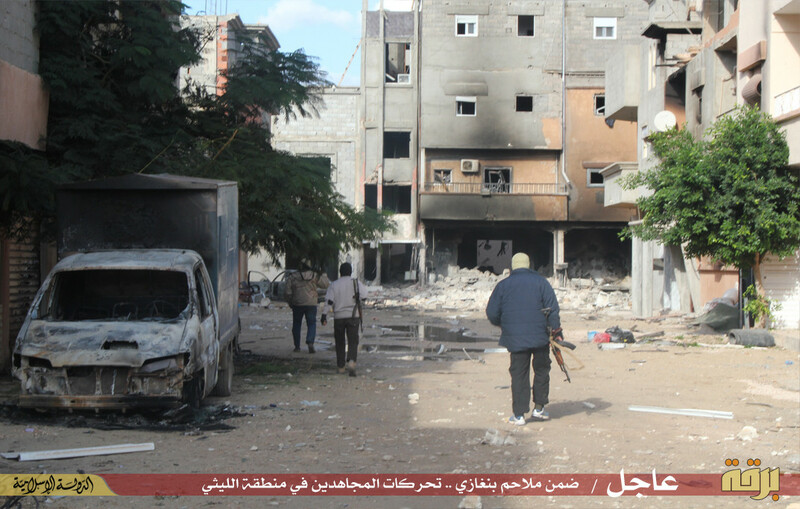 Recall that in Sirte are being killed mercilessly by groups with no legitimacy. Exit popular demonstration of solidarity with the families of victims of Sirte and Tarhouna and Sabha in mourning Friday and the victory city. UPDATE: ‘Daash’ regain control of the port city following the withdrawal of the people of the third residential area of it. Clashes since early in the morning and a strong attack to ‘Daash’, after the arrival of support and warplanes flying over the city’s skyline now. What the junta called ‘Misurata’, declare “a state of public clarion”, calls for some militias to prepare to go to Sirte. ‘al-Matmrala national’ announced the beginning of the process of liberalization of the city of Sirte from organization ‘Daash’. the country) cannot successfully fight today united with (dirty) Misurata. Advances on young people, and young people supporting them, are issues recorded in a statement, that this ‘War’ is a ‘popular uprising’ nothing to do with any other party. Warplanes bombed organization ‘Daash’ sites at al-Taweelah, Sirte. The fall of the launchers random on homes in al-Taweelah, Sirte. Seven Warplanes bombed ‘skill Hotel’. The killing of six members of the organization ‘Daash’ including a Sudanese national. Hedda aviation bombed out of Misurata Bttiyarat from Sudan. 1 __ violent clashes in the area between ‘long-city youth’ and elements of ‘Daash’. 2 __ warplanes bombed a convoy belonging to the organisation ‘Daash’, as it was coming out of al-Novljeho heading toward the city of Sirte. 3 __ Violent clashes with heavy weapons now among the youth of Sirte and the ‘DAASH‘ infidels in Sirte. Burn field hospital in Sirte and within the Jtt martyrs, Allah willing, and also resides inside some of the wounded were ‘young people burned alive’ by the terrorist organization Daash. The Islamic State of ‘DAASH’ has set fire to the Field Sirte Hospital, after the shelling with mortars, which they launched yesterday, against a district inhabited by the tribe ‘Furjan’, who, in recent days, has incited Sirte citizenry to revolt against the terrorists. According to the “Tunisian daily ripota ‘the Wasat’ “, ‘DAASH’ guerrillas, first set fire to the building killing 22 patients hospitalized in the facility. After yesterday’s attack, in which 38 more people were killed, the Libyan government of Tobruk accuses the United Nations Security Council for the crimes committed by the Islamic state. 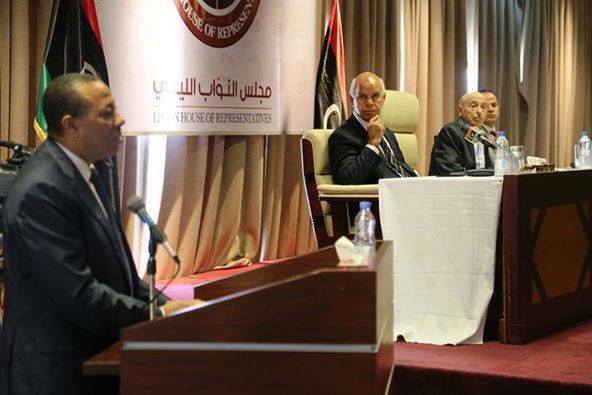 For the interim Libyan Government of Tobruk explained that the UN is ‘responsible for this situation for not yet lifting the arms embargo’, imposed on the ‘Libyan Army’ from 2011. 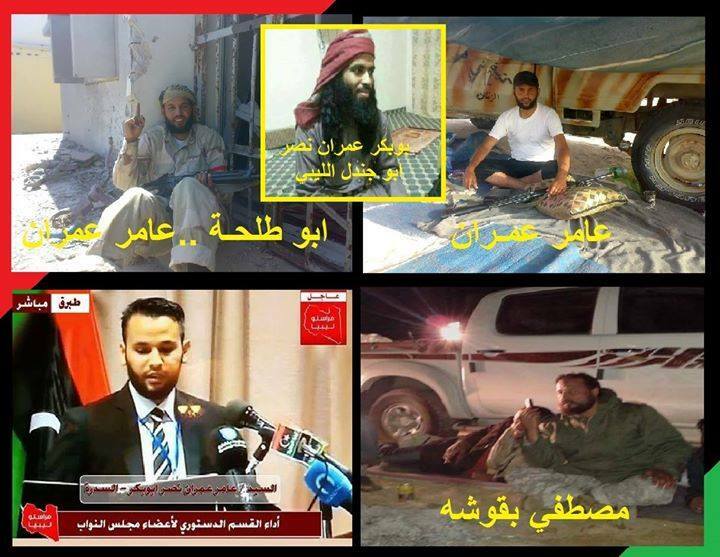 Photos by Paul Taliq: dead of the Organisation of ‘Daash’ in Sirte. 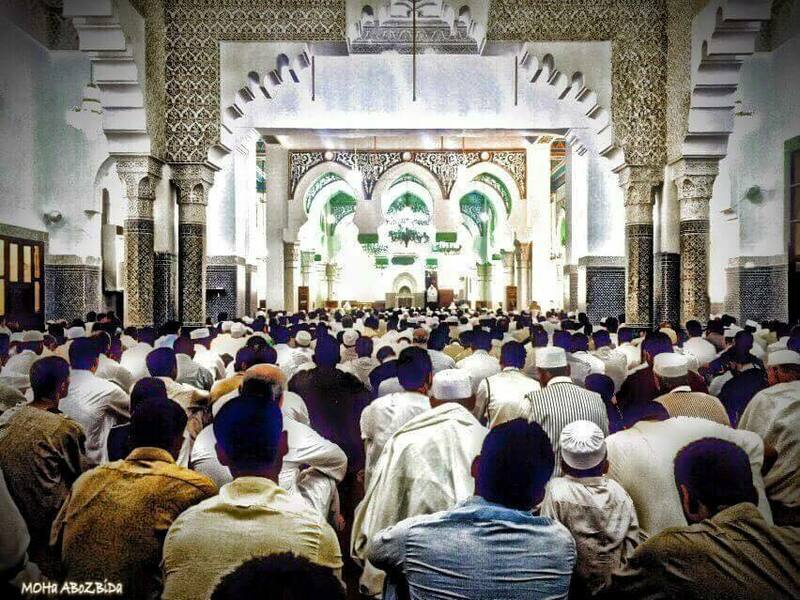 Sudanese and Egyptian and Tunisians were killed in Sirte…all KHARIJITES for ‘DAASH’. ‘Youth Sirte’ slaughtered at the hands of tyrants Kharijites ‘Daash’ terrorist organization members in cold blood. Sheikh Bin Akila Akila lamp Furjani / Sharaf al-Din Abu-Setta Warfali been descendants in Sirte by ‘DAASH’…..
After the danger wonder where Bakri group follows Aicoloa Sirte safe and reassuring liters Ajhnni ….. !!!!!! Libyan people to know the truth and those who support the Kharijites and terrorism, especially in Sirte and Nofaliya ..
And Aocolk MAJLIS supports the people and the army! .. This despicable in the picture called Amer Omran victory Moroccan from Bin Jawad area .. belongs to the Moroccan tribe, which holds jihadist ideology and prohibition and analysis of his title jihad ((Abu Talha)) .. 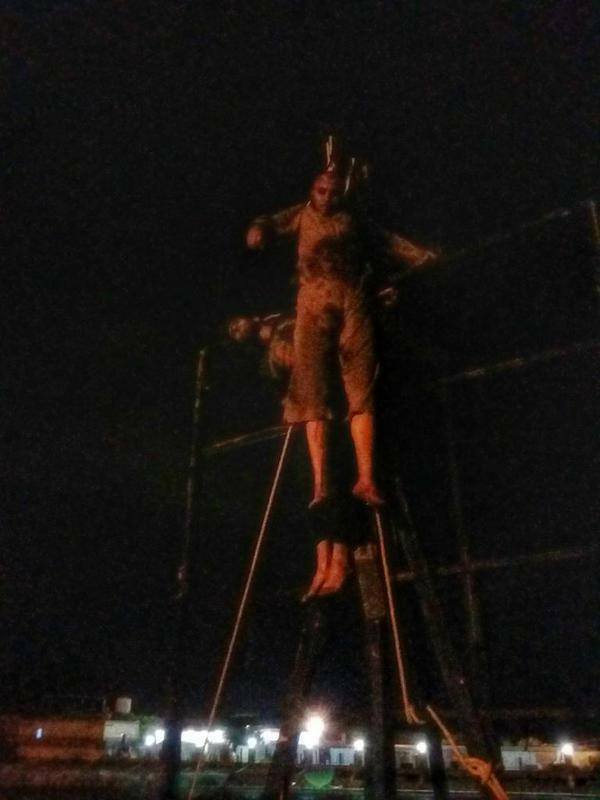 The image is larger during the invasion of the city of Sirte in 2011, followed by what guided the terror that is the bulk of Atbaha them to the terrorists and prisoners of Abu Salim dogs of hell ..
For your information the year 2011, was the liquidation of the two young people returning from isolation after the Qao in captivity from the city of Sirte, in front of Sirte Hua Security Directorate, along with people from cousins ​​named ((Mustafa Bakoucheh)) and Vice Kmalk Hua Mei knows dogs. His elder brother, Abu Bakr Imran Moroccan one ‘DAASH’ Total Online in Sirte known nickname ((Abu Jandal al-Libi)) ..
and Hua of the tire body of a young Salafist Sharaf al-Din Warfali and the suspension of the body of the young man in ‘Saffron Island’ and participated in the killing of the sons Epehroh area “Mahmoud Bokhozam” and ” Osman victory “and cut their heads and tire their bodies considered Lama revenge. He called me lamp Abu Gavl Moroccan who was killed by ‘DAASH’, as they entered the area .. Epehroh and threatened the elderly in Nofaliya with death, while on his actions Aaatardo. And often threatens the young Salafi in his area and the Nofaliya and even the expulsion and vowing revenge ..
For your information I have another brother who followed Ibrahim al-JDHARAN in Bin Jawad, and his older brother in the Premier Partner Market, and still their father is known for his moral-conduct and goodness. And dogs watching beast Liberal honorable …. !!!! Image. And image. And a thousand image. But do not declare Jihad al-Qaradawi. As witnesses and witnesses island cry. Shalgam not shed tears. ‘NATO’ does not declare war. Obama does not announce the horn. Cameron does not protect civilians. It does not meet the university. Nor condemns the Gulf. Nor accused of felonies. INTERPOL nor prosecuted. Levy does not infiltrate. Nor condemns organizations. Some of the statements and possibly data to make amends. Everyone will forget. And it awaits another tragedy. Then get used to it..
And logos are changing. And initiatives absorb anger. And crises living steal attention. The next catastrophe, hopefully will be the last one, is their answer. The capper for dipping sin. And get ready to ride the wave again tomorrow. 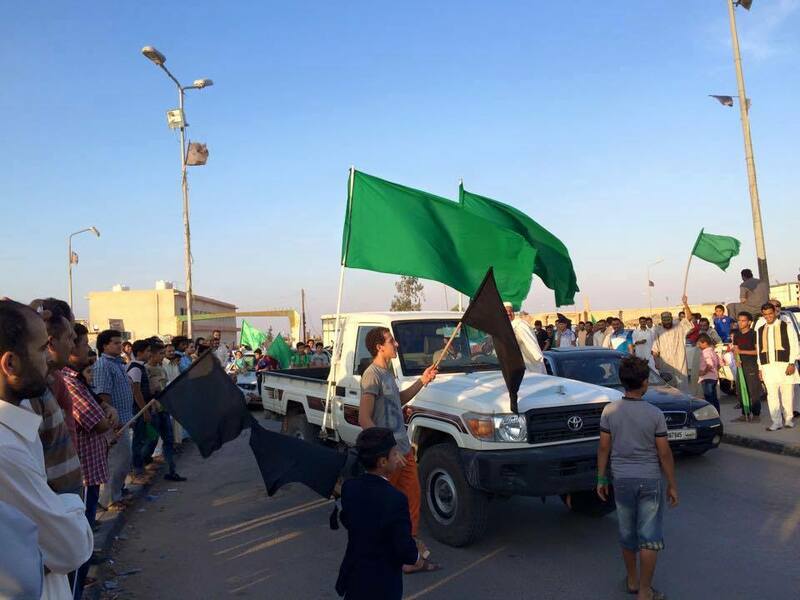 —BTW: In Sirte alone, DAASH slaughtered 180+ civilians, including women and children who had participated in the Demonstrations with Green Flags. ‘Daash’ organizing the execution of 150 citizens in Sirte, including 70 of the elders of the tribe Sheikh al-Furjan, at dawn on Friday. 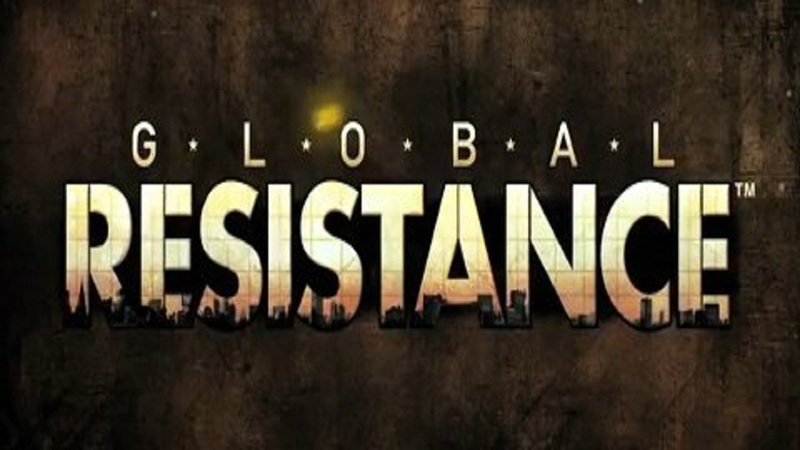 (“DAASH” arm of the USA ‘new world order’ GOVERNMENT, who said they were determined to “depopulate” the world. State regulation ‘Daash’ has changed the name of ‘the mosque of Cordoba’ in Sirte to ‘Abu Musab al-Zarqawi’ mosque !! 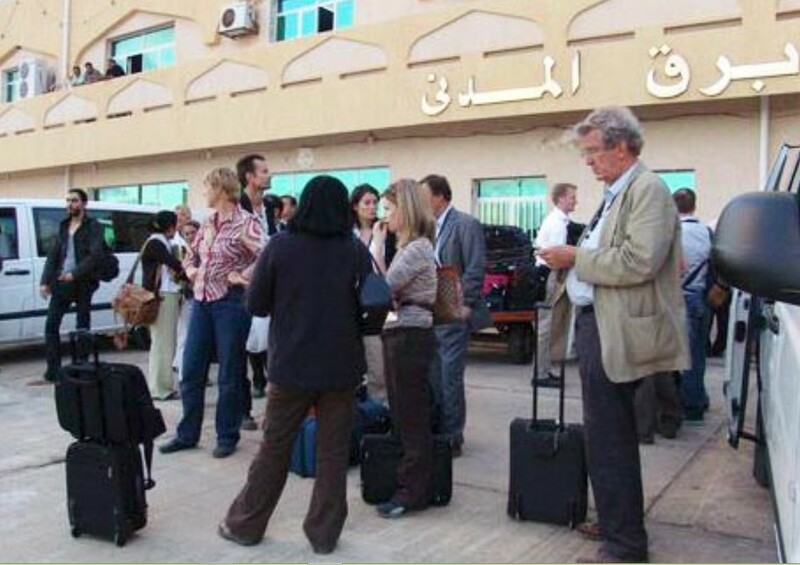 What happened in Sirte but a few customers so loyal to the people of Libya. but to make a decision victory and Tak. Jay God and the role and status Matsthenoh solution Hua unite and call. God Lucan Muammar al-Qathafi is to Aaarza what is happening to his people Aabina. Sirte today solidify her sons do not see any reaction from residents of Sirte. Suppose as traitors and collaborated with the enemy and destroyed the home now. What happens will happen to all the people Walibi this terrorist plot. Dangerous. Willem homeland. Defense here on Libya. It is the most important. Home screaming Aalepien Guy role on both your parents. Even women. Storgom Aomaaa hardened young children. Trained to join the Daash. 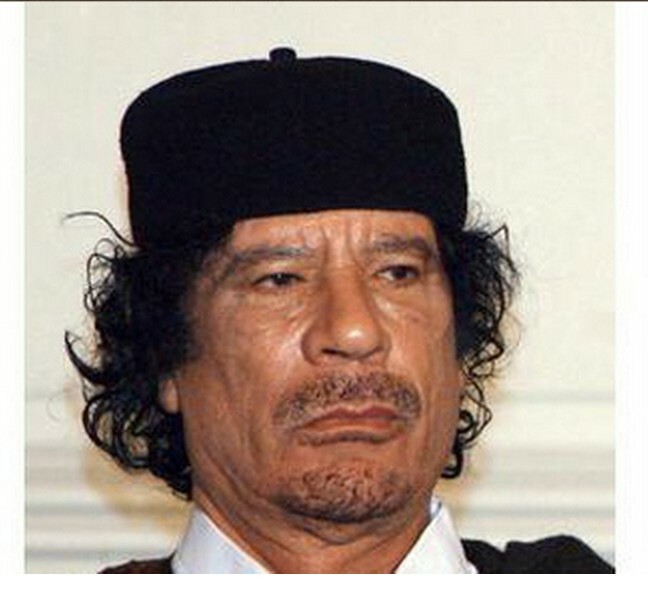 Where are you Muammar, seeing what is happening today in Sirte ! صورة . وصورة . وألف صورة . لكن لا القرضاوي يعلن الجهاد . ولاشهود عيان الجزيرة تستغيث . ولا شلقم يذرف الدموع . ولا الناتو يعلن الحرب . ولا أوباما يعلن النفير . ولا كاميرون يحمي المدنيين . ولا الجامعة تجتمع . ولا الخليجي يندد . ولا الجنايات تتهم . ولا الأنتربول يلاحق . ولا ليفي يتسلل . ولا المنظمات تستنكر . فالكل سينسى . ويترقب فاجعة أخرى . ثم يتعود . والشعارات تتغير . والمبادرات تمتص الغضب . والأزمات المعيشية تسرق الإهتمام . والمصيبة القادمة تجب ماقبلها . وكابر عن الإغتراف بالخطيئة . وأستعد لتركب موجة أخرى غدا . Great crying blood …. Allah Aafarag them ! Libyan Airforce Warplanes continued bombing ‘militia Roma Libya’ and terrorist organization ‘Daash’ sites, in the back and seven in Sirte. Violent clashes heavy Balloslhh now in the city of Sirte. 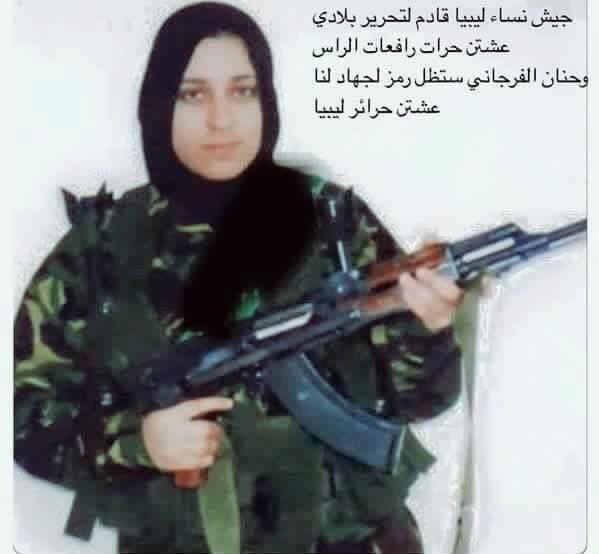 Hanan heroine al-Chouda Furjani cited on the battlefield today in Sirte, against Kharijites: the people of Hell. 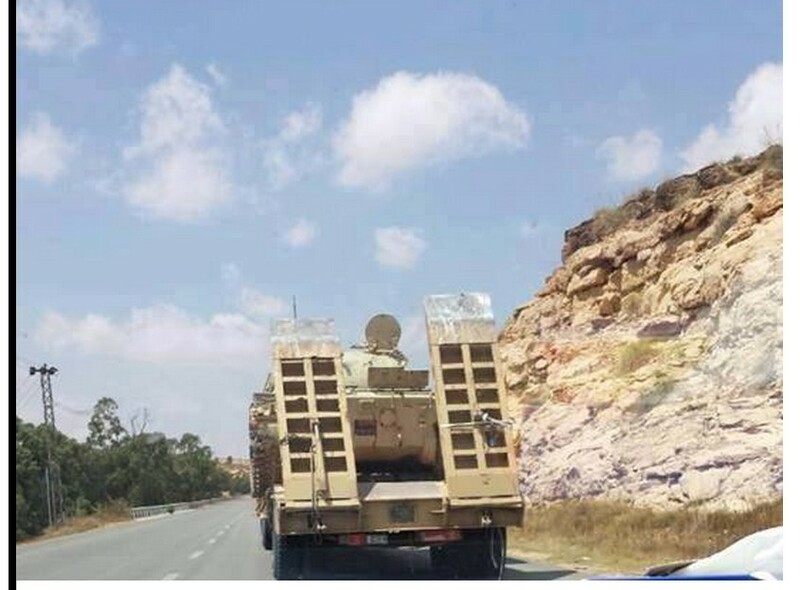 Out power from the South, heading to Sirte, to support ‘Youth Sirte fighters’. The warplanes targeted a fifty-gate and the building next door to the radio. Egyptian warplanes bombed sites to combine elements of the terrorist organization Daash. 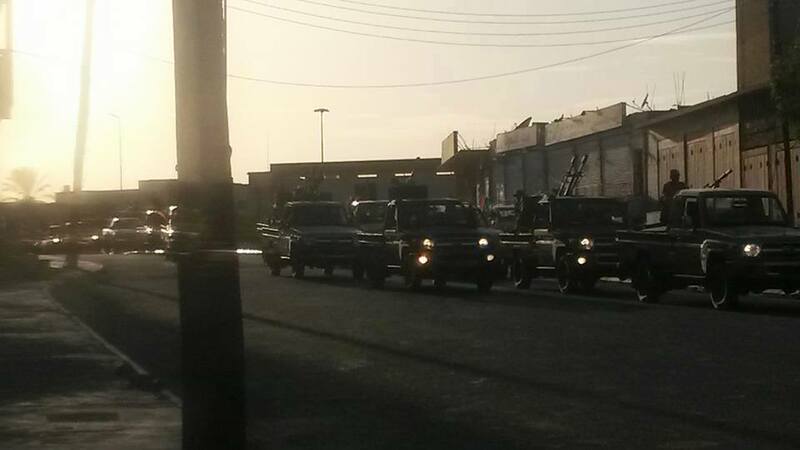 Created out of a convoy of more than 200 cars armed, civil evening and direction of Sirte. Just Bnrd on each one Hellbe Heca this Fash Valehin was a liar and lied news for sure 100% and today boarded pm from Misurata Ptsedkoa Bahi mesh in disbelief at what extent Gsbkm. and the high number of Martyrs of the Sons of the tribe al-Furjan. The continuation of the bombing of the residential area three o’clock in Sirte heavy weapons from state regulation of sites which Sirte University Complex halls and Agadouko and the island of rotation, ‘Abou Hadi’. on the liberalization of Sirte statement. 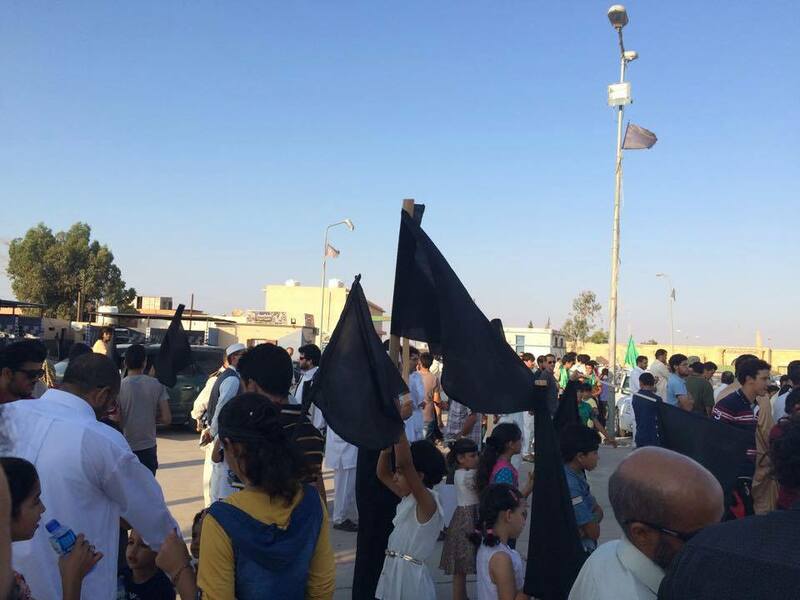 Air dignity hit Nofaliya, announced Saqr Jeroshi, in the approximately of 50 cars. They also hit near the meeting room in Sirte. 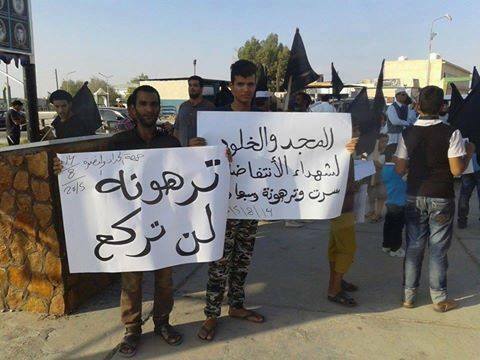 Hftar said that we will not leave, until Sirte is no longer occupied by “DAASH”. As a result of aerial bombardment on the site of the organisation of ‘Daash’, there occured damage to Baton Hospital, and the death of the Sudanese Ahmad al-Onsari and his brother and two workers employed in machine shop there in BATON. 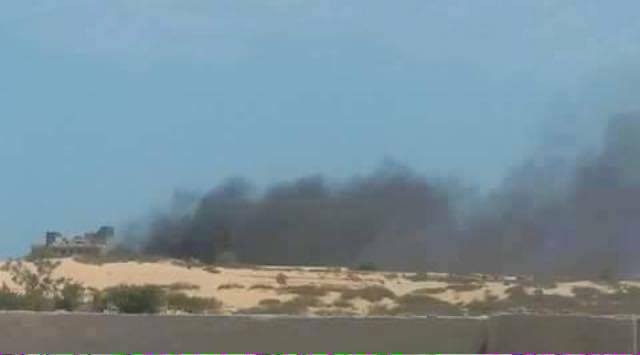 Violent clashes in the area Laithi and Libyan Airforce warplanes targeted communities ‘DAASH’ area of Laithi. The intensification of the fighting axis al-Sabri. The fall of the 10 dead Valsabera. Live dignity after progress of ‘DAASH’ at the center of Bouachrine architecture. As we previously showed … and killed 12 also at the center of al-Sabri in confrontations with state regulation ‘Daash’ ..
“2” of CASABLANCA, : they are ‘Mohamed Saad Borziq’ and ‘Ziad Saleh Aazavila’. “3” from Tobruk, as well as captives of Tobruk ..
ABDULLAH BENDING al-THANI announced his resignation from all his posts through a CASABLANCA-STATE television program on the air. Accountant ‘Abdul Salam al-Badri’, Deputy of ‘bending Services Affairs’, declares that it is now, by virtue of the resignation of bending, the space, which will exercise the functions of head of government, even officially adopted as prime minister supporting the ‘MAJLIS al-Nuwaab’. A huge explosion near the Msadjad al-Sahabh b city of Derna and plumes of black smoke now. Now attempt to break the truce by sons of Suleiman. Ali neighborhood archery Akaddafa (Qadhadhfa). The kidnapping of ‘a group of young from the tribe of Qadhadhfa’, by ‘militias MISURATA-uadthamanm’, who claimed falsely that they were fleeing with gasoline for the organisation ‘Daash’. statement declares that Ibrahim Mansour al-Daql on the ‘channel al-Naba Brotherhood’ is a Qadhadhfa statement which does not represent anyone. Because, the ‘Council’ did not cost anyone to cast remarks. Three bodies were found in Wadi al-Anz near the city of Sabha. 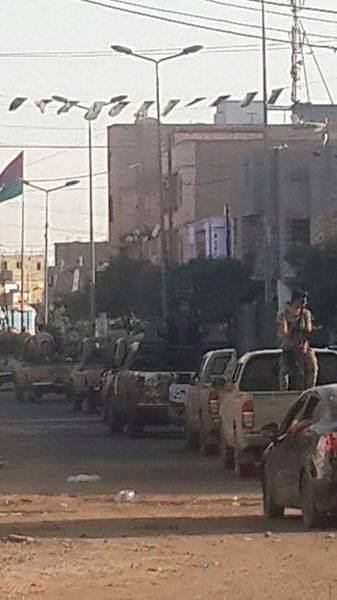 Photos of the spread of MISURATA Melcaat al-Qoh al-Talvh on Street Wholesale Sakra and Mttqh Mahdia. ‘Sayyed Hassan Nasrallah’ speaking on the Anniversary of the 2006 ISRAELI WAR. who knows through his own personal experience, what he has come to understand. Joseph al-Hmas, a Yemeni child, has exploded, for the second time, with words of fire facing the Saudi / American enemy, the ‘United Nations’ clown claiming to ‘defend human rights’, and the tile-faced mercenaries and traitors who are not even worth ‘Hesa slippers’! The derek voice of an Thaer of Allah! This well-informed youngster, is far more eloquent than a thousand, thousand, Saudi men could ever be, in his speech on 08 MARCH 2015. Capacitive Photos of the mechanisms that have been become corrupted yesterday on the outskirts of the city of al-Khubah behind Valley continent in the depth of Saudi territory. de ‎الثورة اليمن ية – التعبئة العامة الجهادية‎. Yemeni‬ army and ‘People’s Committees’ destroying ‪Saudi‬ tanks. This entry was posted in Actualités et politique, History, Mankind and tagged bani walid, CENTRAL REGION, Cyrenaica, dirty MISURATA, Green Nafusa Western Mountains, LIBYAN SALAFI, Mu''ammar al-Qathafi, NORTH KOREA, SOUTH LIBYA, TARHOUNA, The GREAT JAMAHIRIYA, TRIPOLI, Turkey, Yemen, ZLITEN. Bookmark the permalink.